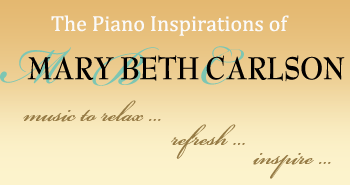 Mary Beth will share a variety of praise and worship music, refreshing hymn arrangements and original compositions from CDs she has recorded. Throughout her performance she will weave the stories that have influenced her music and testimony of her faith walk. Several of her arrangements are accompanied by beautiful videos of God's miraculous creation.